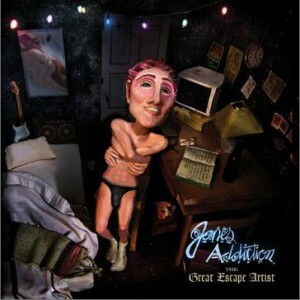 Jane’s Addiction never enjoyed quite the same success on this side of the pond as some of the other rockers who climbed out the LA scene of the mid-to-late-Eighties, but at their best, they had enough swagger and wit to give their sock-rocking contemporaries a run for their money. 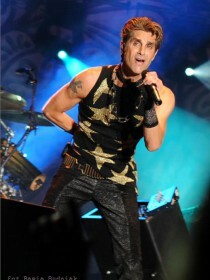 Like the Chilis, they certainly had the chops, but while Anthony Kiedis has spent the past twenty years behaving like a bug-eyed gym bunny with personal space issues, Perry Farrell always managed to make it look effortless. Snake-hipped, stick thin and with more than a hint of the Bowies about him, he’s a great American frontman, without even having to try. It’s a pity, then, that much of ‘The Great Escape Artist’ - the band’s first outing since 2003’s ‘Strays’ - is very hard work indeed. Farrell comes across like a man in the midst of an identity crisis, flitting between juvenile boasts and wrong-headed takes on domestic bliss in the space of a song on the ponderous ‘Splash A Little Water On It’. It’s probably telling that the only time he really sounds at home is when he’s looking back on a time before fame (“I laid my bed out / On my back seat” on ‘Twisted Tales’). But that’s only half the problem. ‘The Great Escape Artist’ is one-paced, bloodless, and frequently blighted by Dave Navarro’s ersatz Edge-isms. It’s only on closing stomper ‘Words Right Out Of My Mouth’ that they finally cut loose, but it’s too little, too late.